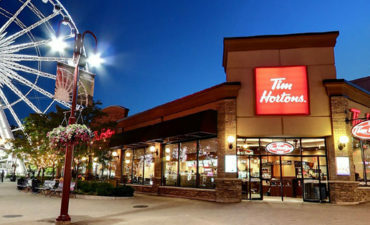 From Upscale Fallsview Dining to Casual Quick Bites, you'll find it here! 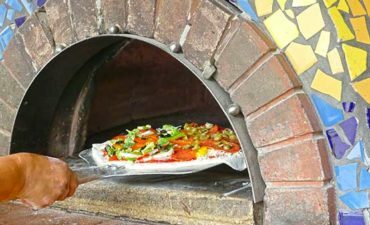 Although many of the city’s restaurants provide typical tourist-friendly fare, if you look a little deeper, you will find that it’s home to a number of cultural and innovative dining options. 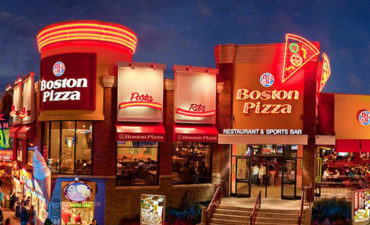 Boston Pizza offers the best in casual dining, as well as Niagara’s top bowling entertainment centre. Enjoy wood fire pizza and steak. Great food at great prices along with ample free parking. 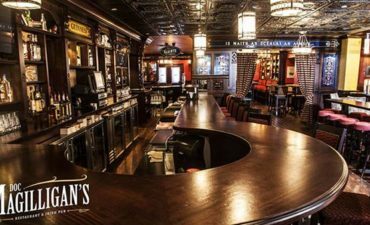 An Irish Pub open for breakfast, lunch & dinner. It offers local craft & international brews, comfort inspired fare and live entertainment. 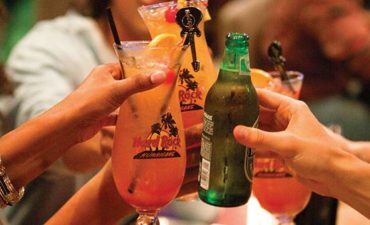 Hard Rock Cafe is a vibrant rock n’ roll themed restaurant with an extensive food and drink menu, street-level boutique, and incredible location next to Casino Niagara and minutes away from Niagara Falls. 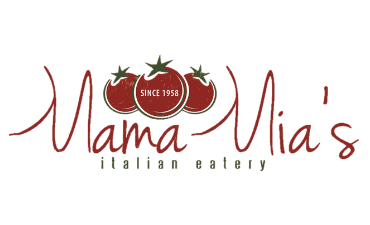 It is a casual dining destination unlike anywhere else in Niagara. Located inside the beautiful Marriott on the Falls hotel and directly overlooking the Canadian Horseshoe Falls, Milestones on the Falls is a casual yet elegant dining destination that offers delicious seasonally-inspired dishes and breathtaking views of Niagara Falls. Niagara Brewing Company proudly brews seasonal and signature craft beers that celebrate the Niagara region and Canada’s rich brewing heritage. 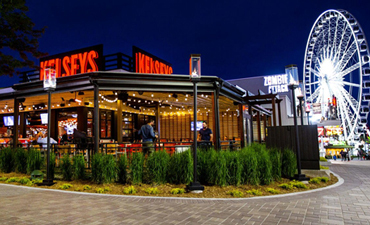 The brewery offers innovative craft beers, a delicious kitchen menu, laid-back atmosphere, and live entertainment, all just minutes away from the thundering Niagara Falls. Stop by the brewery on Clifton Hill to try one of their award-winning brews. Join us for an evening of Music, Food and Fun! 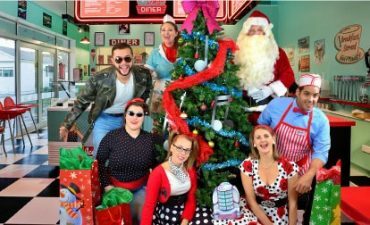 2-hour musical comedy performances are paired with our delicious 5-course, family-style dinner. Located at the corner of Falls Avenue and Clifton Hill, the Rainforest Cafe is a family-friendly dining adventure that offers amazing food and drinks in a simulated rainforest setting. Step inside the lush confines of this unique restaurant and get ready for a unique meal complete with animatronic animals and an indoor thunderstorm. 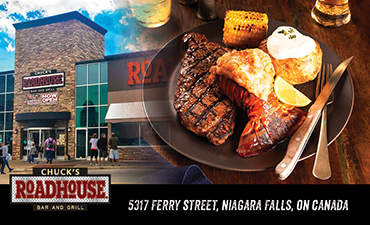 Award winning steak and seafood restaurant featuring a casual fine dining atmosphere and Niagara’s only singing servers. Revolving Dining Room with 360 panoramic views or our Summit Suite Buffet. Both restaurants tower 775 feet above Niagara Falls. 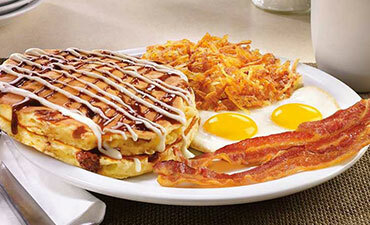 We serve the best: Coffee, Cappuccino, Donuts, Muffins, Baked Goods, Breakfast Sandwiches, Soups and Sandwiches! 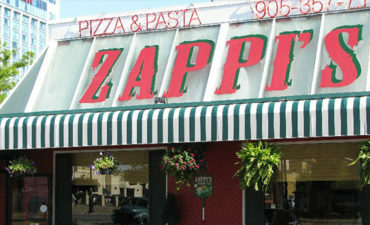 Zappi’s is a local favourite, great family destination with a patio. We love kids and have a full menu! 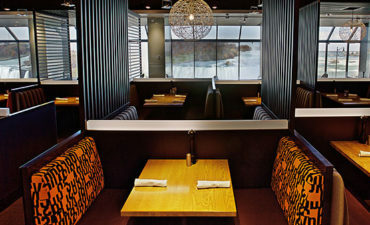 Enjoy our rustic modern décor, fresh eats, crafty cocktails, ample beer varieties and live music. Where the locals eat and drink! Craft beer brewed on-site paired with fresh made food and nightly entertainment. The Blind Pig is a speakeasy inspired gastropub with socializing in mind. Pulling subtle design inspirations from the 1920’s, we’re also built for the modern times. This is our take on classic meets modern!